We've just had two weeks of staff meetings in Brussels this month aimed at navigating the way forward for our international network. We're coming off a few months of high profile work: a gathering and consultation in Chiapas, Mexico of many of our Latin American member organisations; a training on active nonviolence for 32 young people as part of an exciting new project we've begun in the Great Lakes region of Africa; our Annual General Meeting in Arras, France; the continuing efforts of the Catholic Nonviolence Initiative , our Young Peace Journalists project , and more. We undertake this work because, despite evidence sometimes to the contrary, we believe that "peace is possible". As the staff of the International Secretariat was looking forward, we also were reflecting on all that has been accomplished. 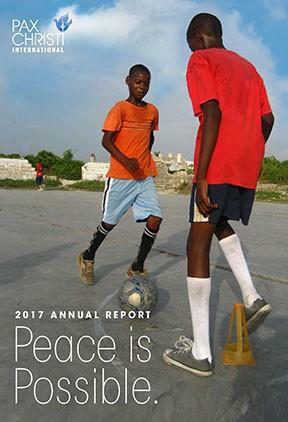 We recently published our annual report for 2017 and we hope you'll take the time to leaf through it online and take in the full breadth and depth of how we're working to spread the message of active nonviolence all around the world. 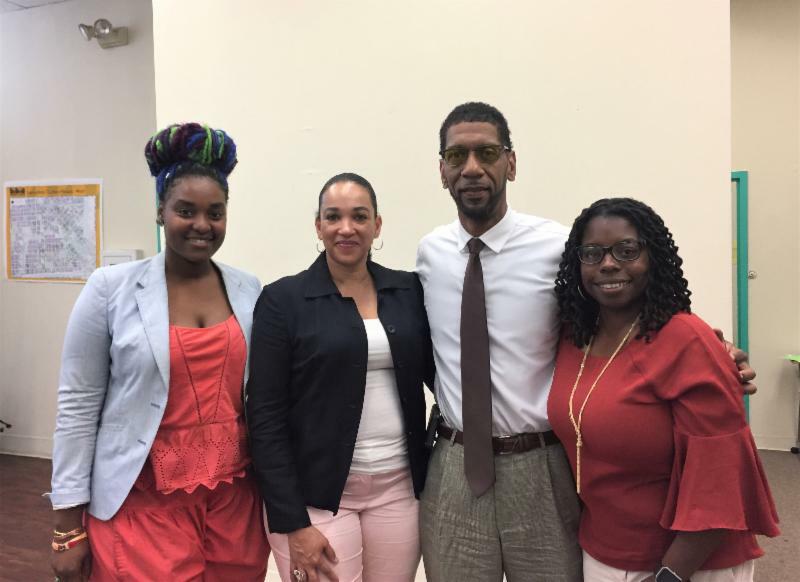 This newsletter provides you quick links to highlights of our common work, a sample of all that our members are doing for peace, justice and reconciliation while promoting the power of nonviolence in our world. And you can always find the latest happenings from our network on our website . Never has it been more important to promote peace and nonviolence in our world, and we hope that if you are in a position to do so, you'll support this work with a financial contribution. 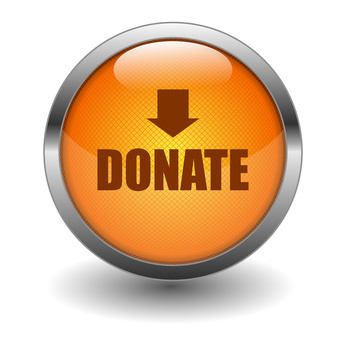 You can click on the "Donate" button on the left to give quickly and securely. We thank you for your generosity and for all that you do as part of the global network that makes up Pax Christi International. 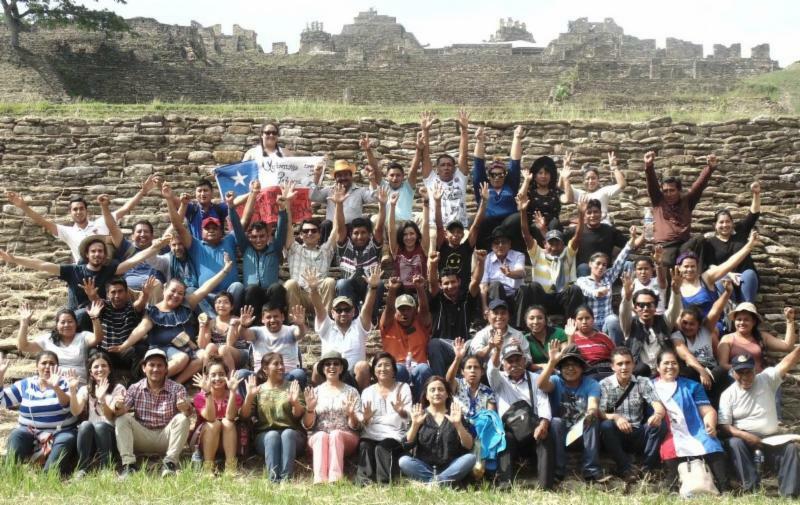 (Issued 7 /6/18) - San Cristóbal de Las Casas, Mexico - From 23 to 26 May, Pax Christi International organised a meeting in San Cristóbal de Las Casas, in the Mexican state of Chiapas, in order to share experiences about nonviolent resistance strategies regarding the extractives industry and transnational megaprojects. The aim was also to analyse the context leading to conflicts in the region, as well as at the global level, and to look at methodologies of active nonviolence and advocacy as a means to influence decision-making institutions for the common good. The meeting, hosted by Educación Ambiental Moxviquil and co-organised by FRAYBA - Centro de Derechos Humanos Fray Bartolomé de las Casas and SIPAZ - Servicio Internacional para la Paz, counted more than 60 people from many organisations and communities in the six countries (Chile, Colombia, Guatemala, Mexico, Paraguay and Peru) participating in the project, “América Latina, entre Violencias y Esperanzas”. ..
Click here to read the full article, see pictures and view videos. 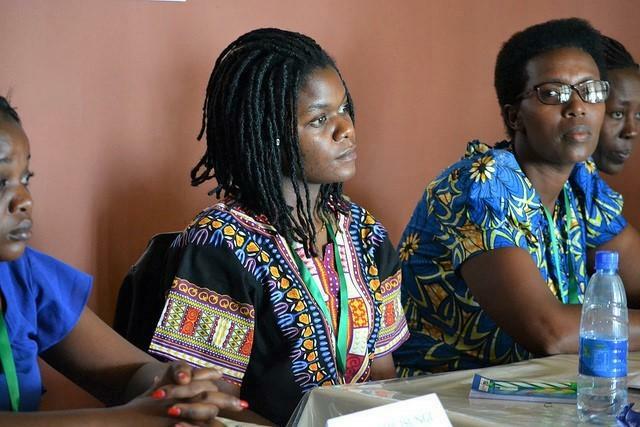 Pax Christi International launched a new programme in the Great Lakes region in Africa called, ‘Empowering new generations on active nonviolence and entrepreneurship'. The purpose of the programme is to educate young people on the culture of peace and active nonviolence and includes assisting disadvantaged youth in creating small businesses. 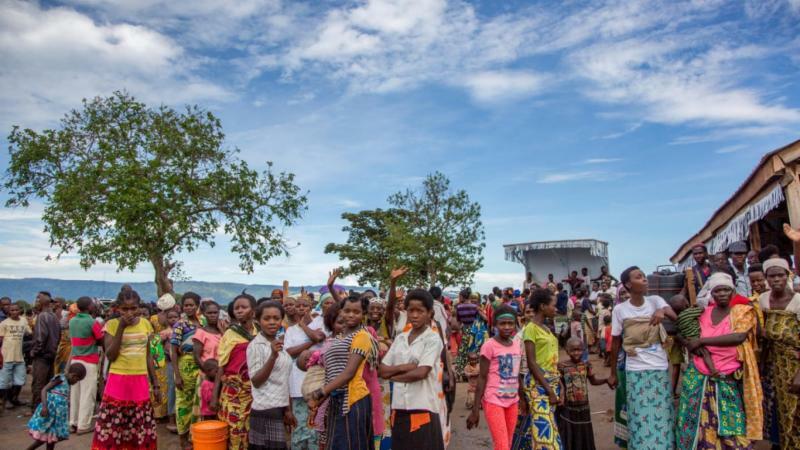 This project is taking place simultaneously in 3 countries (Burundi, Rwanda and Democratic Republic of Congo) and is being implemented by 16 organisations in Kinshasa, Kananga, Kisangani, Goma, Bukavu, Butembo, Uvira, Butare and Bujumbura. 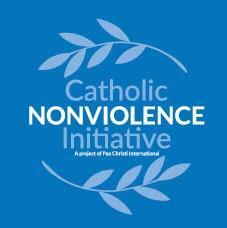 The project was launched with two "Trainings for Trainers" educating 32 men and women in the principles of active nonviolence. .. Choosing Peace: The Catholic Church returns to Gospel nonviolence , edited by Marie Dennis, co-president of Pax Christi International, is now available from Orbis Books. 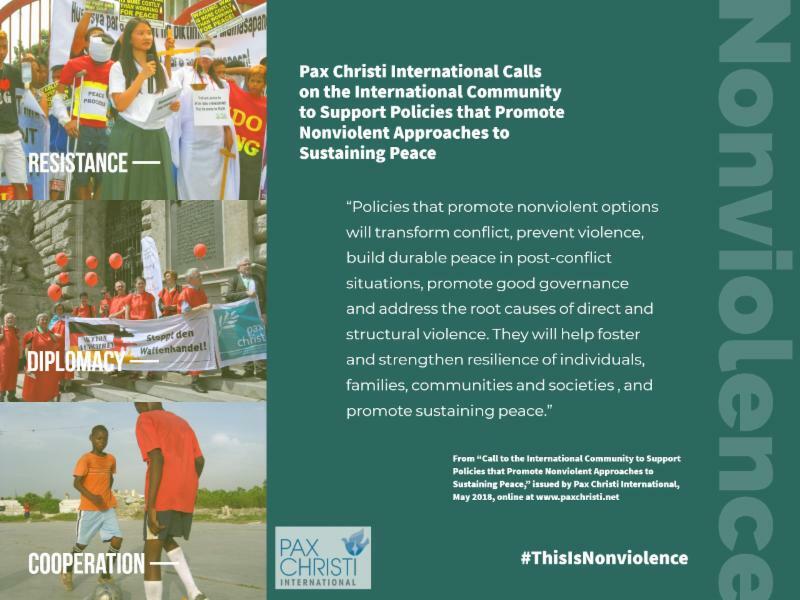 In recent years the Catholic Church’s approach to issues of war and peace has refocused on the tradition of nonviolence and peacebuilding in place of the traditional framework of Just War teaching. Among the milestones was an historic conference hosted at the Vatican in 2016, which gathered 80 peacemakers from around the world. Drawn from the conference and presented here are contributions by many of the participants, advancing the conversation about the practice of nonviolence in a violent world. ..
Click here to read more about the book and for ordering instructions. In this latest installment of the #IamPaxChristi interview, we’re profiling Martha Okumu (second from left, standing) of Peace Tree Network which is based in Nairobi, Kenya. This series aims to highlight short conversations with the women and men who make up our movement. The interview was conducted over email. How did you become involved with peace and justice work? What led you to do this kind of work? I got involved in peace and justice when a college friend introduced me to a peace organisation which employed me. It was an eye opener in the sense that I had previously not interacted with civil society and community based organisations. I worked there for a period of two years and gained experience in peacebuilding and conflict transformation, advocacy, mediation and dialogue. 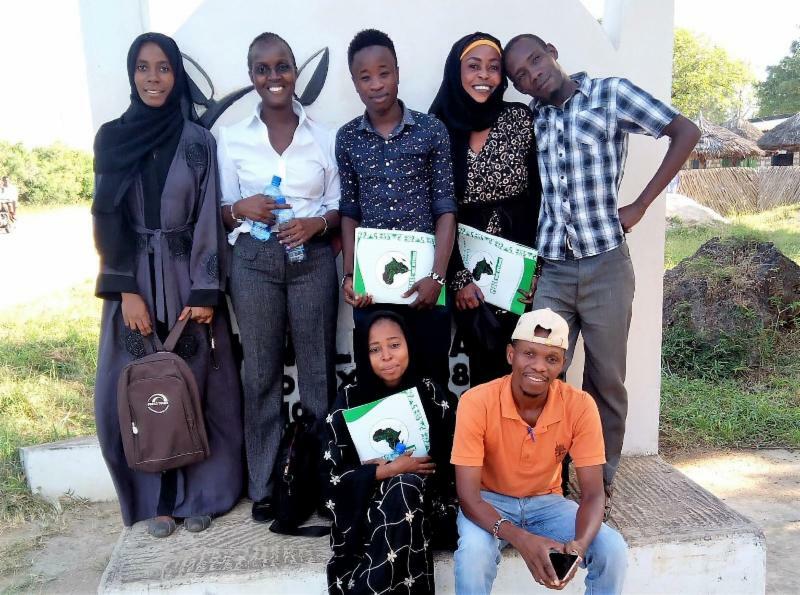 The organisation was mainly involved in conducting workshops, hosting peace forums and offering certificate training courses in partnership with one of the Catholic Universities in Kenya. 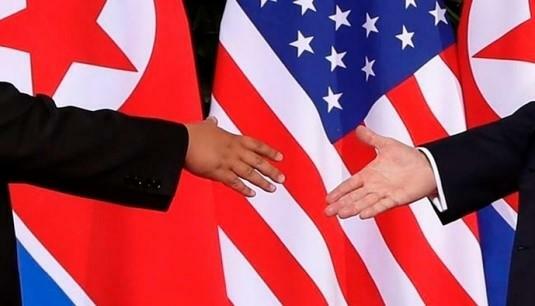 2017 was a year of historic achievements, highlighted by the award of the Nobel Peace Prize to the International Campaign to Abolish Nuclear Weapons (ICAN) of which Pax Christi International is an active member. The award was given in response to the incredible work our movement and the other partners of ICAN accomplished in the ratification of the UN nuclear weapons ban treaty. Click here to read the 2017 report. Olivier Lungwe Fataki, "The drama of a young Burundian refugee serving as a teacher in Mulongwe refugee camp"
Age 25, Ndayishimiye Frédéric is the eldest son of a large family whose survival depended on him because their father died when he was very young. In January 2015, his family received regular night visits by gunmen who had managed to take away all the goats they bred at home. 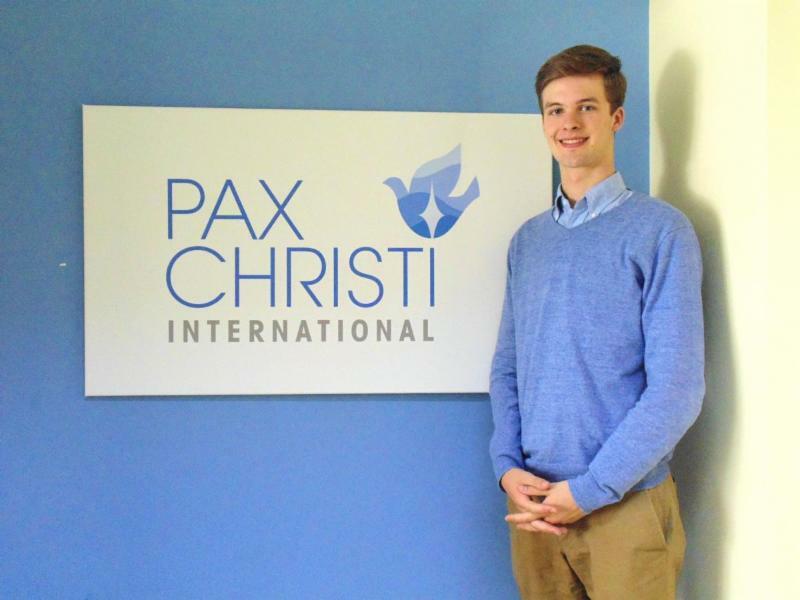 Pax Christi International has just welcomed a new intern, Edouard Olivier Whelan, to the office of the International Secretariat in Brussels. “There is really no greater cause than that of world peace," Whelan stated. "Therefore it is truly an honor to be able to do my part, and to learn the part I can play in the fulfillment of that goal at Pax Christi International.". ..
Read more about Olivier by clicking here. 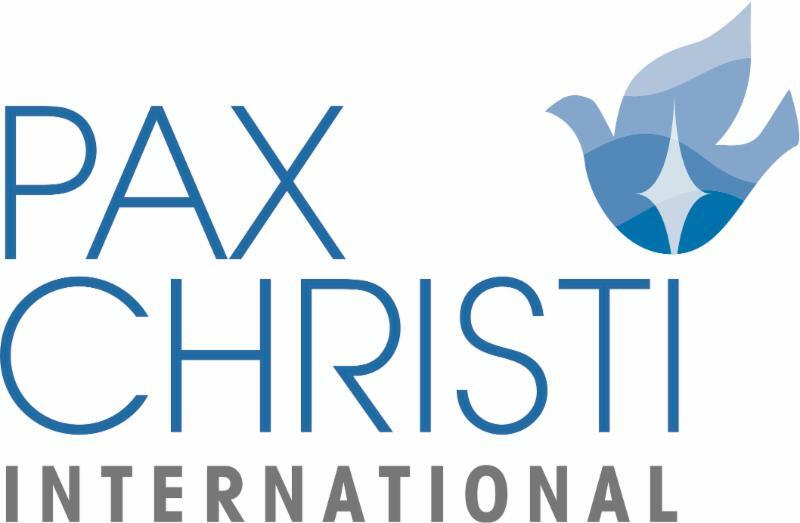 Brussels - Pax Christi International is pleased to announce that the No Boundaries Coalition, based in Baltimore, Maryland USA, is the recipient of the 2018 Pax Christi International Peace Award. The award will be presented at a ceremony later this year, date and location to be determined. Sr. Patricia Chappell, Executive Director of Pax Christi USA, was invited to be a part of Georgetown University’s panel, “Overcoming Polarization Through Catholic Social Thought” . .. Pax Christi UK participated with CND at the “Together Against Trump” gathering in London on 13 July. ... The annual World Week for Peace in Palestine and Israel is slated for 16-23 September this year. Pax Christi UK has created a handy card to use to remember to save the date, as well as resources from their campaign last year ... Commission Episcopale Nationale Justice et Paix d’Haiti released a report on violence in the metropolitan area of Port-au-Prince in a public letter to political officials ... Pax Christi International asked European Parliament members to support a new report on indigenous people’s rights in Latin America ... O ver 160 Catholic organisations from countries around the globe sent a statement to the U.S. Congress decrying U.S. President Trump’s decision to end U.S. participation in the Joint Comprehensive Plan of Action (JCPOA), the Iran Deal, negotiated in 2015 during the Obama administration. ... Fr. 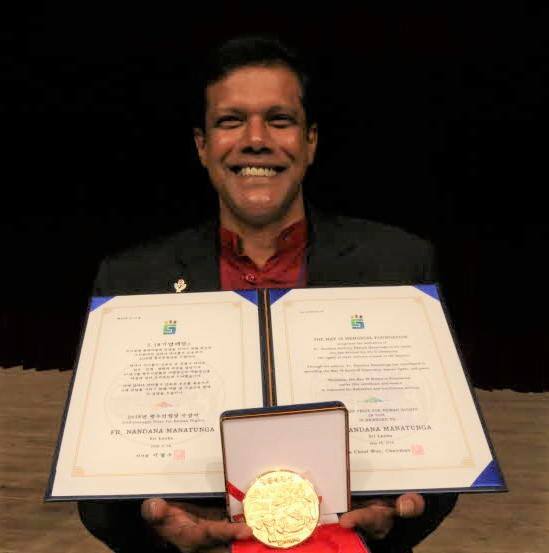 Nandana Manatunga (pictured above right), director of member organisation Human Rights Office-Kandy in Sri Lanka, received the prestigious 2018 Gwangju Human Rights Award ... Pax Christi International was excited to hear that Msgr. Louis Sako of Iraq, the recipient of the Pax Christi International Peace Award in 2010, has been named one of the new Cardinals installed by Pope Francis on 29 June 2018 ... Pax Christi International would like to extend our congratulations to Derechos Humanos y Medio Ambiente or DHUMA, a member of Pax Christi Peru, on being recognised with the International Human Rights Award Letelier-Moffit 2018 from the Institute for Policy Studies (IPS) in Washington, D.C. DHUMA is also a member of the Pax Christi International Advocacy Working Group on Extractives in Latin America. ... Bishop Paride Taban, founder of member organisation Holy Trinity Peace Village Kuron in South Sudan, partner of PAX, our member organisation in the Netherlands and former International Board member of Pax Christi International, received the Roosevelt Four Freedoms Award for 'Freedom of Worship' in the Netherlands recently ... Pax Christi France issued a position statement on the situation in Israel/Palestine ... For more news articles about Pax Christi International activities around the world, visit our website by clicking here.